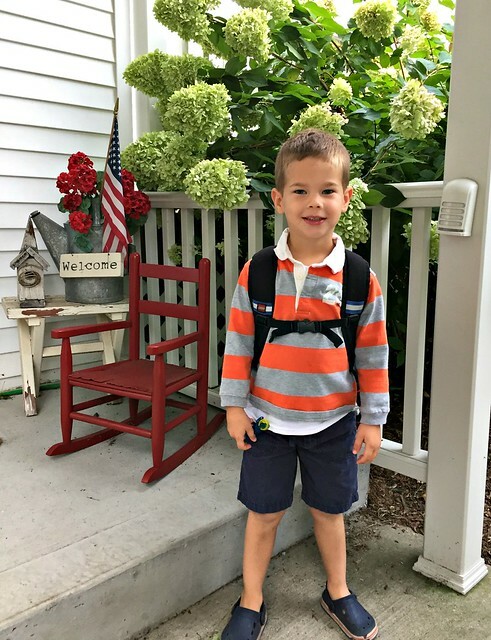 As a self-proclaimed homebody, you would be shocked to know that our current Fall schedule has our entire family up and out the door every single weekday morning for some activity or another! Whether it’s bringing Simon to preschool (and then running errands), attending a Bible Study at church (with nursery for the kids), heading to story hour at the library, or participating in 2 different community play groups, we have fun things to do every weekday morning — aren’t you proud of me! Of course, getting Nora on the bus and the other 3 out the door with me can sometimes feel like a mini circus act — especially since Clara likes to sleep in and we always eat a hot breakfast. However, thanks to a handful of specific steps we take the night before, our mornings rarely ever feel overly crazy, stressful, frazzled, hectic, or too busy. In fact, we often have plenty of time to watch a show, play a game, read a couple books, or throw in an extra load of laundry before we leave each morning. 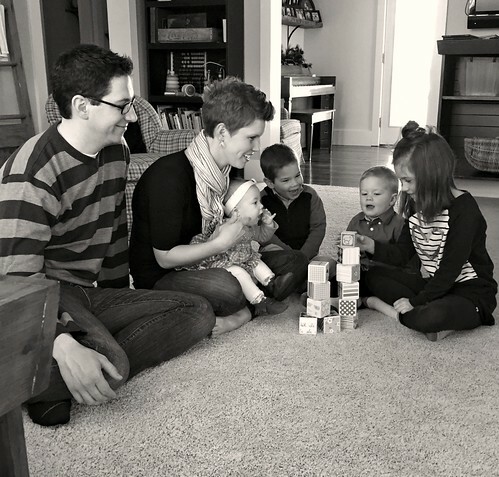 This is not because I’m extra-amazing or because I never sleep… it’s simply because our family does 6 specific things every night to simplify our mornings. The points I’m sharing today are probably things you’ve read and heard 50 times before… BUT, I hope it’s still helpful for you to re-read them today; especially since I’ve provided several very specific examples and details about how exactly we utilize these 6 concepts to DRASTICALLY simplify what could otherwise be a very busy morning. 1. We SET OUT every item of clothing the night before. Yes, I know… this is the most basic morning-simplifying advice ever. However, there’s a difference between “deciding what you’ll wear” and actually SETTING OUT every single item of clothing you will wear the next day. 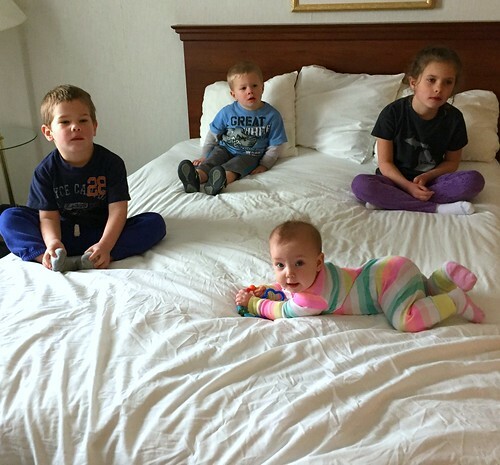 Every night before baths, we have the kids get their PJ’s out and bring them to the bathrooms, then they choose their clothes for the next day and actually SET THEM OUT in a convenient spot for the next day. We tell them the weather forecast, remind them of what’s going on the next day (Nora, you have P.E. — Simon, you’re going on a field trip, etc. ), and offer helpful suggestions. We reserve the right to veto some of their selections, but most of the time, we let them pick out whatever they want to wear — as long as it’s weather appropriate. Nora puts her clothing in the half bath off the kitchen as that’s where she gets dressed and ready in the morning. The boys put their piles on the dresser in their bedroom. Dave puts his clothes in our bathroom, and I have a space on the bottom shelf of our closet for tomorrow’s outfit. The process of picking out clothes takes the kids 5 minutes… then we’re done for the day and don’t have to worry about any issues the next morning. 2. We pack lunches the night before. Again, this is some of the most basic advice… BUT IT WORKS! I’ve gotten into the routine of packing all our lunches as I’m cleaning up dinner. I figure I have lots of food items out already and the kitchen is already messy… plus, then I only have to clean up the kitchen once! This after-dinner timing also works well since Dave and I eat leftovers for lunch most days — I pack up leftovers for our lunches as I’m cleaning up the rest of the food from dinner, and toss the pans in the dishwasher. I’m to the point where I can almost always estimate the right amount of food for our family’s dinner and 2 lunches the next without any other leftovers — score! 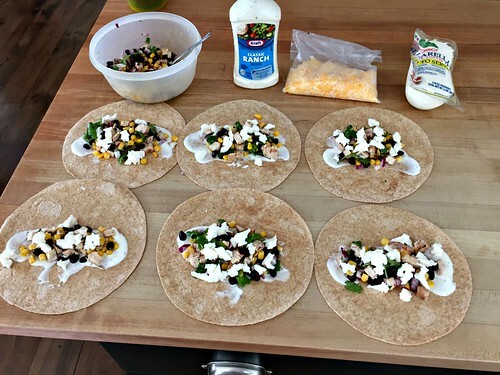 The kids weigh in on what they’d like for their lunches, and depending on what our plans are for the next day, I either pack the food in our lunch boxes or put it on a plate with plastic wrap over top. This is the most labor-intensive “step” of the 6, but since I do it while I’m cleaning up dinner, it really only adds an extra 15 minutes onto the clean-up process. And I’ll be honest, I enjoy being in the kitchen alone while Dave is playing with the kids upstairs! 3. We have all bags (and vehicles) packed the night before. 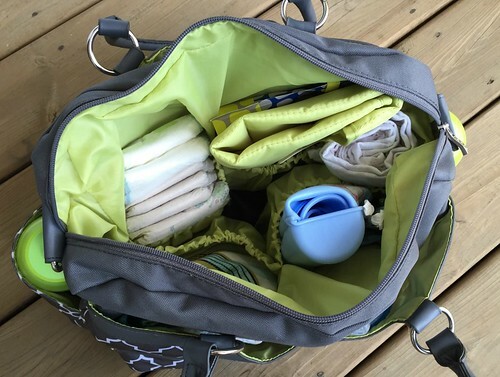 Along with what I mentioned in #1 above, we make sure all our backpacks, diaper bags, school bags, purses, wallets, gym bags, library bags, etc. are packed and ready to go the night before. I also make sure the the van is packed and ready to go with whatever we’ll need for the next morning. If I’m getting groceries after dropping Simon off at school, I’ll make sure my grocery bags are in the car and that the stroller is NOT in the truck as it takes up too much space. 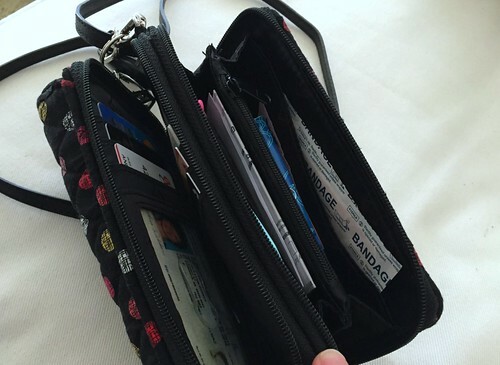 I’ll also make sure I have my grocery list ready to go and any coupons in my wallet. 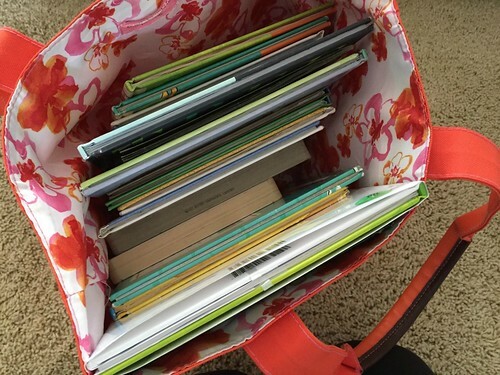 If we’re heading to the library for story hours, I’ll make sure our big bag of library books is loaded up and ready to go in the van. If we’re headed to church, to a community play group, or to a friend’s house, I’ll make sure we have anything we need for those outing ready to go in the van (or at least in the mudroom). 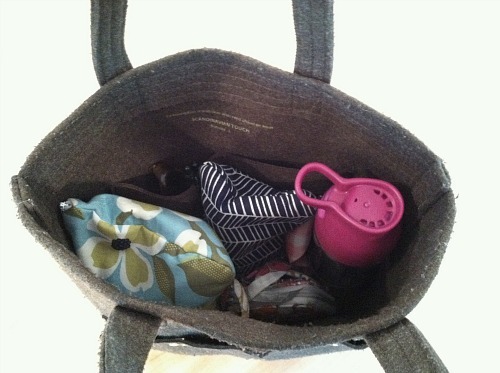 I often run errands on our way to places as well (bank, post office, pharmacy pick up, drop food off for a friend, etc.) so I try to have all those items in the van ready to go as well. We often use the big bench in our mudroom to line up everyone’s bags, shoes, coats, etc. the night before, so we can all just “grab and go” when it’s time to head out. It might sound silly, it might sound a little extreme, it might sound overly simple — but it works for us for now! This step takes roughly 10-15 minutes, depending on what we have going on the next day. 4. I plan our breakfast the night before. I don’t go crazy with breakfast, but I do enjoy making (and eating) a hot breakfast every morning — which requires a bit more planning than just eating cereal. Sundays = cinnamon rolls, eggs, fruit, and yogurt. Now that I’m in the habit of making big breakfasts every morning, it’s not a big deal at all — however, I still need to plan ahead in order to make it work. Do we have enough eggs in the house to do omelettes or quiche? If not, I’ll choose a different option. Do we have bread I want to use up? If so, I’ll make french toast. 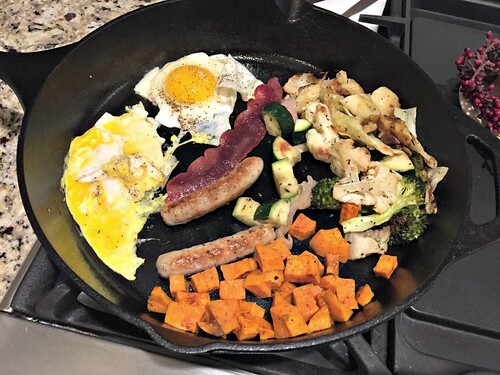 Do we have a bunch of breakfast meat already cooked? If so, I’ll try to incorporate more of that into our meal. If not, I’ll go with oatmeal or pancakes and eggs. Is it a special occasion? If so, Dave or I might get donuts to surprise the kids when they wake up. This thought process takes me LESS THAN A MINUTE, but it’s something I think through every night so I have a plan when I wake up each morning. 5. We look over our planners and make to-do lists the night before. For as long as I can remember (even back into middle school) I have religiously looked over my planner and made a to-do list for the next day BEFORE going to bed. This nightly practice frees my mind of the need to remember throughout the night, allows me to sleep better, and gives me an instant productivity boost the moment I wake up, as I already know what ‘the plan’ is for the day. Fortunately for our marriage, Dave functions exactly the same way (we’re both oldest children!) and thanks to our ultra-planned dispositions, our children are following suit! I know this might sound like over-kill (honestly, sometimes it feels that way to us too) but it’s a better alternative than having them ask me 582 questions about what we’ll do, what we’ll eat, where we’ll go, what the plan is, etc. We’ve found it’s easier and less exhausting for us to tell them the plan the night before so they can mentally prepare. This step takes 10-15 minutes tops — depending on how many questions our kids have and how many things Dave and I need to talk through after they are sleeping. How I prepare to be productive. How organized days start with organized nights. 6. We get to bed on time. I don’t think this one needs much of an explanation — but it’s a super important part of simplified mornings at our house, so I wanted to include it in my list. 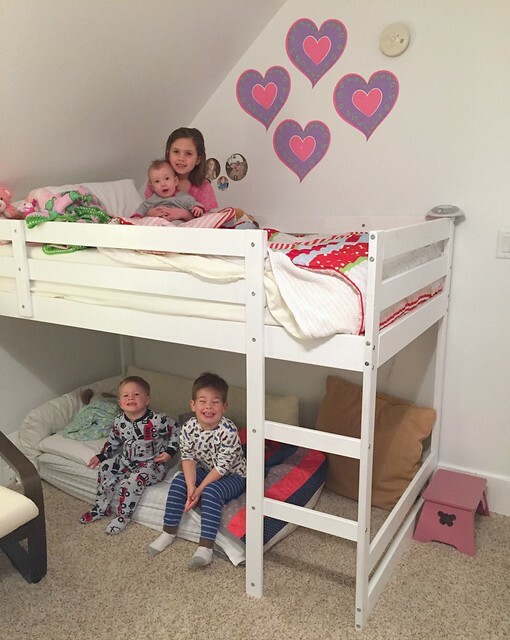 This step takes ZERO extra time — just the forethought that we need to get the kids in bed by 7pm, and get ourselves to bed by 9:30 (maybe earlier)! We must plan our evening hours accordingly so it’s not 9:15pm before we realize we still need to pack up what we’re working on, shower, make our to-do lists, pack bags, etc. It took us a few weeks to break our summer habit of staying up quite late, but we’re used to it now, and it’s no problem to get to bed by 9:30 most of the time. Our new super early morning routine. Our kids current bedtime routine. Of course, we have occasional bad days when plans change, someone gets sick, a full glass of juice spills all over the chosen outfit, the library book that WAS in the backpack magically disappeared, etc. etc. but those are the exception… not the norm. I realize this post has A LOT of information (2200 words — good grief!) If you feel overwhelmed, just choose ONE of the 6 concepts above and try to implement that into your routine. After you get the hang of one, choose another concept and implement it as well. 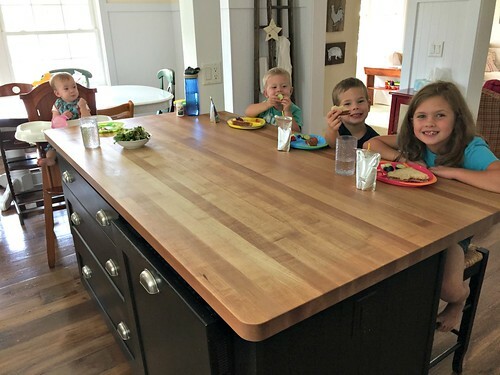 It won’t happen over night (or even in one week) but over time, I’m confident these steps will help you and your family to enjoy less stressful, less busy, less chaotic mornings — which will hopefully lead to feeling happier and less frazzled ALL DAY LONG! 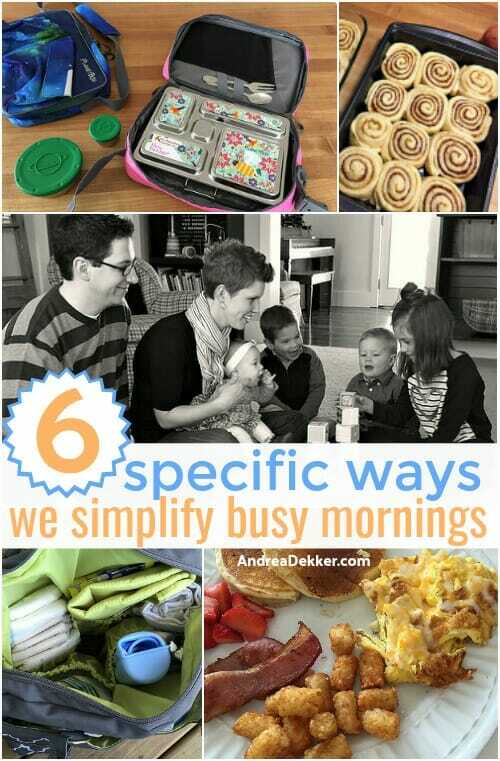 What are your best tips to simplify busy mornings? You Won't Believe How We Finally Got Nora to Sleep! You always have such good tips Andrea! I do almost all these but my problem is I hit the snooze button on my alarm. Ha! Let’s hear how you can keep lunches from getting soggy and horrible (sandwiches, wraps, leftover pizza) if you have any tips for that. I’ve never succeeded except PBJ and maybe cheese sandwiches. hmmmm… we’ve honestly never had any issues with soggy lunches. Obviously, we don’t eat pizza unless we can do it in a toaster oven at home, but anything else has been just fine for us. Maybe we aren’t picky, but even Dave and I enjoy sandwiches, salads, soups, leftovers, etc. with no issues. 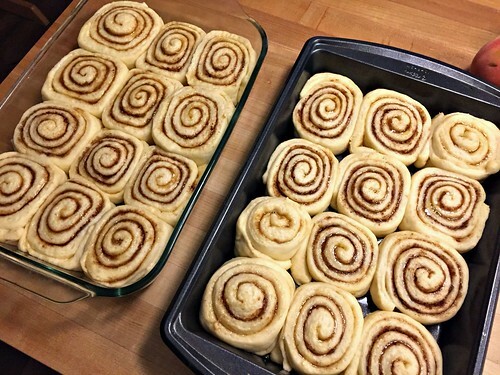 Are those cinnamon rolls a recipe from your blog? They look delicious! If not, can you share the recipe? Great tips! I did/do much of the same, especially when my kids were younger. I don’t have that exact recipe on the blog — but this one is basically the same (just using store bought frozen dough instead of making the dough from scratch). I’m working on making it a habit to make my to do list for the next day, and going to bed earlier. One question… Do you have an issue with Nora’s food being a little metal tasting? 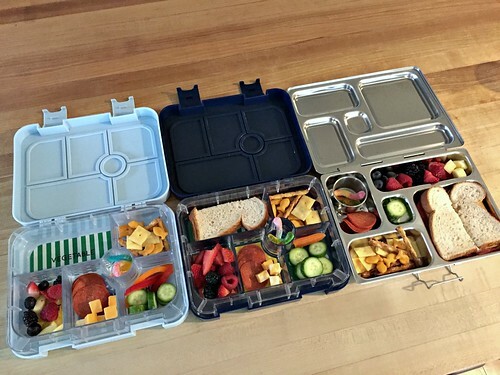 My son has the same lunch box and he won’t eat strawberries and a few other foods, which he normally loves, because he says they taste like metal by the time lunch comes around. I’ve started packing the fruits in a snack Ziploc baggie and putting it in the lunch box, which seems to help. Also, I was packing his lunch the night before, but he was hardly eating any of it and said it didn’t taste good by lunch time even though he has the ice pack in there. Thank you for this very helpful post!! Getting to be on time was challenging for Dave and me too — but we’re totally used to it now. Our bodies more than ready for bed by 9:30pm! 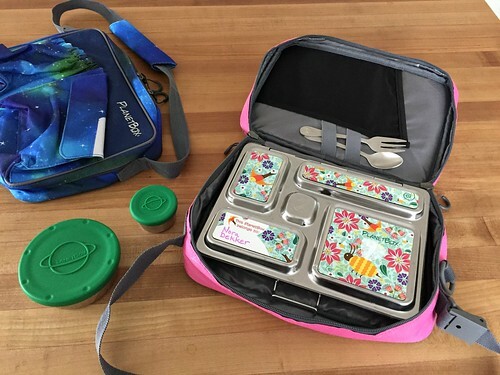 As for the lunch boxes, no — Nora has never mentioned anything (and you know how picky she is about tastes and textures of food!) I always pack her lunch IN the lunch box right after dinner, and then put the whole metal box in the fridge. The next morning, I put the box and ice pack in the pink lunch back and she doesn’t touch it until noon. Do you have the PlanetBox brand? If not, that might be the issue. Also, how old is your box? We got ours 3 years ago — I wondering if they changed the metal they use at some point. It might be worth contacting their customer service about. Yes we have the PlanetBox brand and I bought it right before school this year… You spoke so highly of it that I had to give it a try. Yeah that’s why I asked because I know how picky Nora is. Thanks for your response. 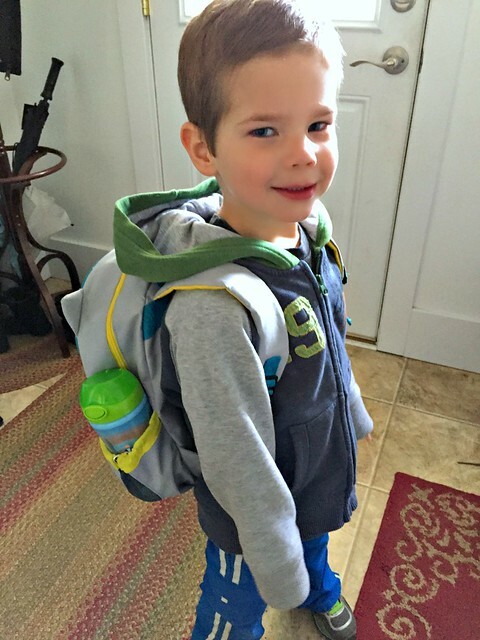 I also bought their smaller water bottle, and it seems to work very well for my son. I fill it with ice water in the morning and it lasts him nicely all day long. I love that it is so easy to clean… Was having a hard time finding one that seemed durable and easy to clean. I’m really glad I spent the extra money on this one. so weird! I specifically asked Nora about it this morning and she said everything tastes just fine. I even mentioned a “metal taste” and she looked at me like I was crazy! It honestly might be worth contacting them and asking some questions (like if they are using different materials to make the boxes). Maybe they’ll send you another one??? As for the water bottles, I’m glad to hear you like those!! I think you’ll find that actually writing it down will free your brain and help you sleep so much better! I basically do everything you do except lay clothes out the night before. I do think that would be a great addition to our nightly routine. Girl, you counted the words, lol! haha — no! The WordPress platform automatically counts the words of all my posts. It was literally exactly 2200 for this post! Prepping lunch for the whole family the night before is an “aha” moment for me. Genius! That extra 15 minutes at night would save time, energy, money, etc. Lunch would be relaxed and stress-free. Great idea! oh wow — I’ve been packing and making my lunch the night before since 5th grade (seriously)! It will revolutionize your mornings! My girls pick out all their outfits on Sunday afternoon and put them in a hanging shelf in their closet. They have choices each morning but they’re limited. Being here in the south, we pretty much go straight from summer to winter so there’s not many variations of clothes they need. We also freeze a lot of our breakfast items which makes things much easier. 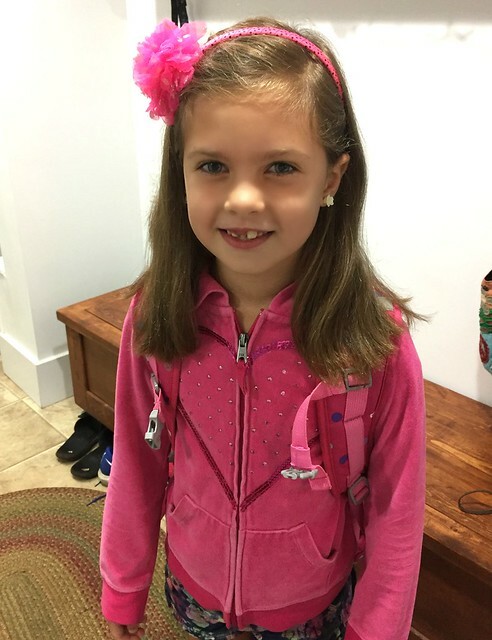 my kids (especially Nora) can’t handle choices in the morning — she just needs a straight “this is what I’m wearing today” every morning! And yes, freezer breakfasts are amazing!! 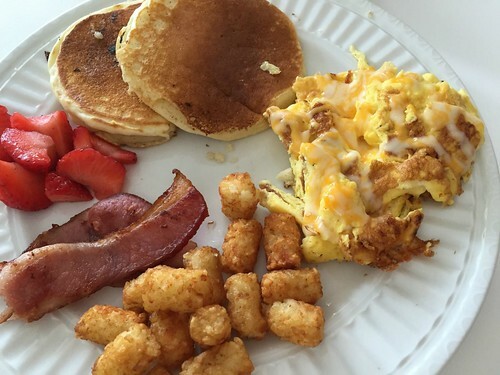 When do you clean up breakfast dishes? If I make a hot breakfast, I always have more to clean up. At least pans or baking dishes. 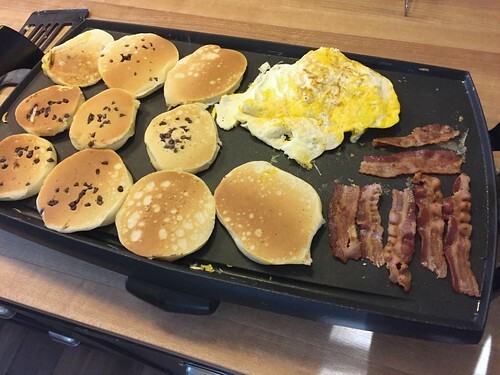 I guess I just clean up as I go — I use my griddle and cast iron pan for basically everything breakfast related. The griddle just gets wiped down and put back in the cabinet, the cast iron pan is wiped out and put back on the stove. I think it’s one of those things that seems overwhelming until you get in the habit of doing it regularly. Like for me, traveling with small children seems SOOOOO overwhelming and totally NOT worth it — but we have friends with 6 kids who travel all the time and insist it’s “so easy”! Making a hot breakfast is actually faster for our family than pouring bowls of cereal because my kids won’t eat cereal and the whole morning is a struggle. Then they’re all hungry again an hour later because they didn’t eat enough for breakfast. 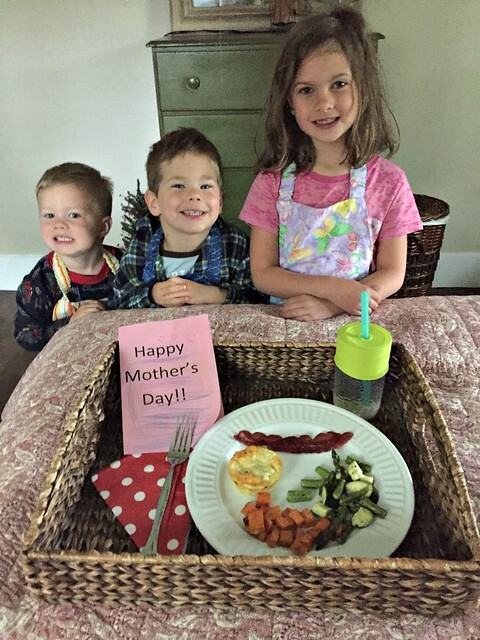 When I make a hot breakfast, they eat quickly and can easily make it until lunch without a morning snack — so it simplifies our entire morning! 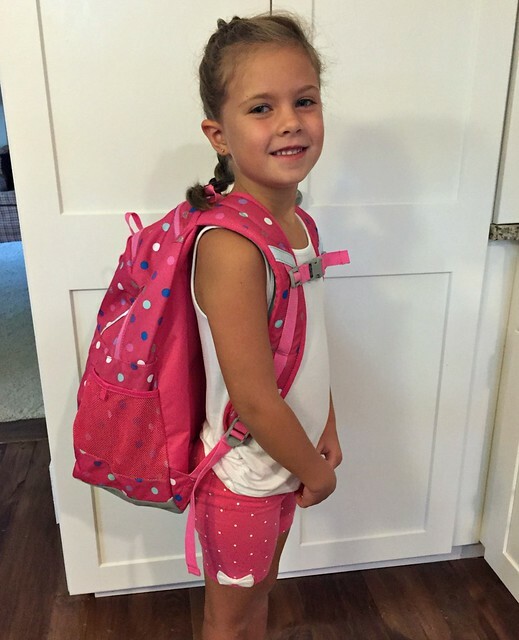 What backpacks do you have for your kids? I love the chest strap and I gave in and let him pick his own this year. I exchanged it once when it broke within 24 hours, have repaired it twice already, and now the zipper is shot. 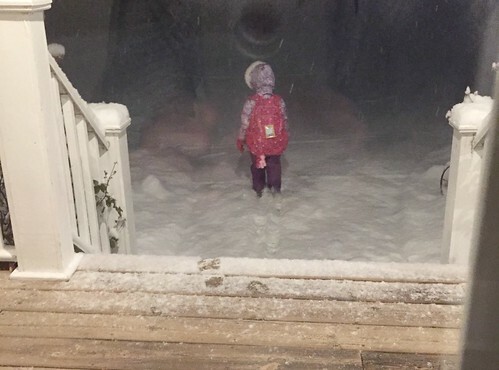 Nora’s is the Land’s End backpack — she’s had it for 3 years and it’s still going strong. I got it 60% off in a back-to-school sale 3 years ago. Yes to the Lands End backpacks! In 3 years, we haven’t had one wear out yet. And if you look for them during the off season, they are very reasonable. I think I ended up paying around $10 after my coupon. We have their lunch boxes too. I even wash them in the washing machine sometimes and they’ve held up great. good to know! I thought about washing Nora’s last year, but didn’t dare risk it. Maybe I will! Oh Andrea, how I wish I had you as a resource years ago…how much simpler my life would have been!! And I firmly believe children thrive with structure and daily routines. Big score for you and Dave!